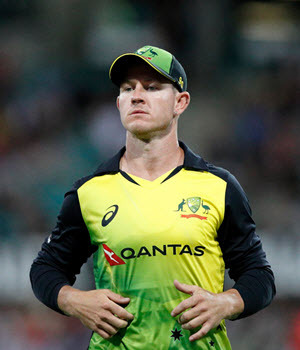 The 27-year-old, D’Arcy Short has played for major teams such as Western Australia, Northern Territory, Rajasthan Royals and the Hobart Hurricanes, his rise from the Australian domestic scene best described, as a whirlwind since now he is pushing for his place in next year’s World Cup squad. During the Australian season he helped Western Australia enjoy victory at the JLT one-day cup, D’Arcy also enjoyed a productive Big Bash as part of the Hobart Hurricanes as he became the leading scorer in the tournament, while he also earned an IPL deal and made his T201 debut. By far the favourite to step into the shoes of David Warner, an ODI debut is on the horizon for D’Arcy Short to play alongside Aaron Finch in the one-day series soon to start against England. It is indeed a significant achievement for a player who first started playing state cricket in 2011. After training at Lord’s, Short shared that he was contemplating on giving up cricket for a while after his 12-month whirlwind experience. Short’s BBL achievements earned him a call-up for the Australian T20 tri-series involving New Zealand and England as well as an IPL contract with the Rajasthan Royals. He became an instant international hit after 196 runs in just five innings, 76 off 44 balls in the Eden Park world-record run. He struggled a bit in the IPL, in which he proved somewhat less successful, Short said his run out twice, made the start challenging while he learnt a lot and had a great experience towards the end. By working with Warne, Short developed his left arm wrist-spin, he now feels confident after his progress, and it could be a hint of great things to come during the one-day series. Justin Langer, now in charge of the Australian team played a significant role in the revival of Short’s career as he implored him to get fit and is responsible for him playing on the WA side in the JLT Cup. D’Arcy Short’s sports career is significant for several reasons apart from the fact that he rejuvenated his cricket career, he is the first indigenous batsman to represents Australia. His story offers indigenous players a bit of belief into themselves, and Short feels making his way into the Aussie side shows others how to reach a good pathway towards the opportunity to play for Australia. At the end it was playing for the Australian Indigenous XI in Brisbane a year ago that got Short’s career back on path after he did at one stage came close to giving up on cricket.